This web page took five to six hours to scan, research, design, and upload. Thank you for supporting the Virtual Steam Car Museum! 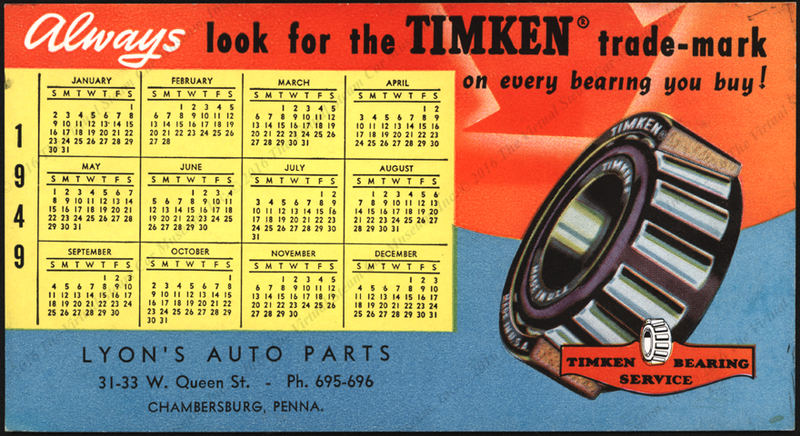 Timken was - and is - a major supplier of bearings and axles to the automotive industry. 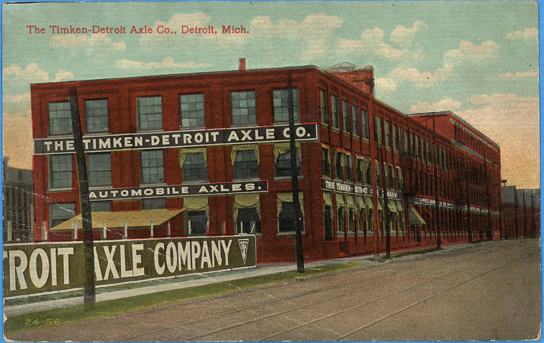 The Timken-Detroit Axle Company's factory as shown on a period postcard. Timken produced a series of brochures in 1915 under the heading of Timken Primer. Here are two of these catalogues. 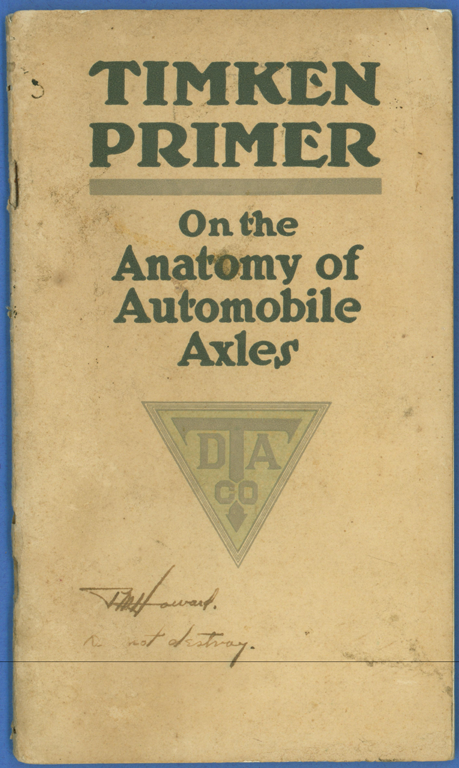 On the left is the Timken-Detroit Axle Company's 72-page brochure entitled On the Anatomy of Automobile Axles. 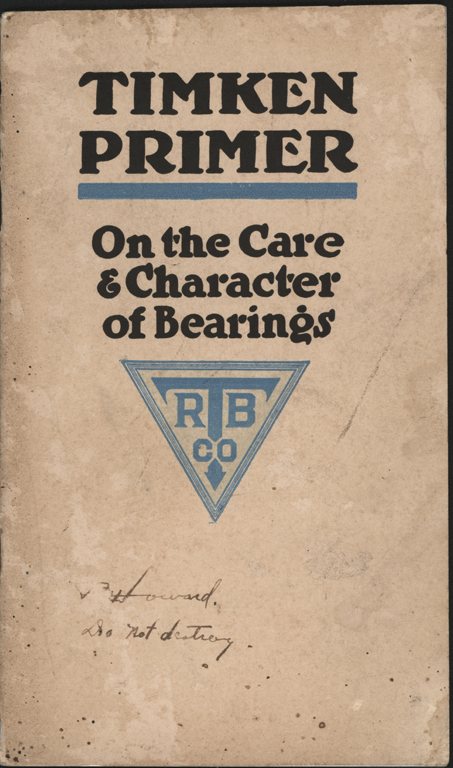 On the right is the Timken Roller Bearing Company's 32-page brochure entitled On the Care & Character of Bearings. Note the similarity of the logo designs. 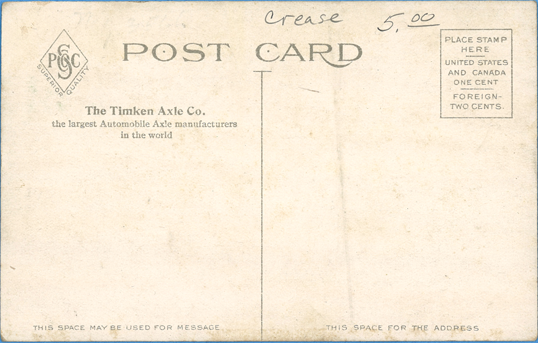 This Timken-Detroit Axle Company blotter shows the tapered design of the company's bearings. Contact us if you have additional information about this maker, or if you have questions.